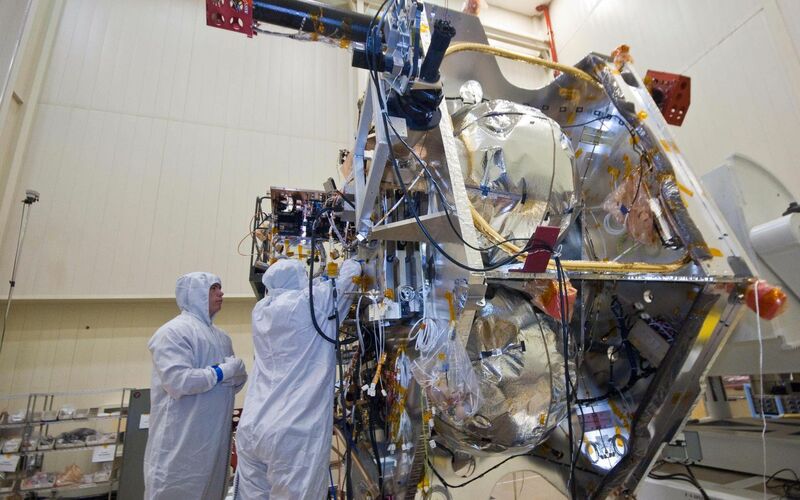 Technicians install components that will aid with guidance, navigation and control of NASA's Juno spacecraft. Like most of Juno's sensitive electronics, these components are situated within the spacecraft's titanium radiation vault. 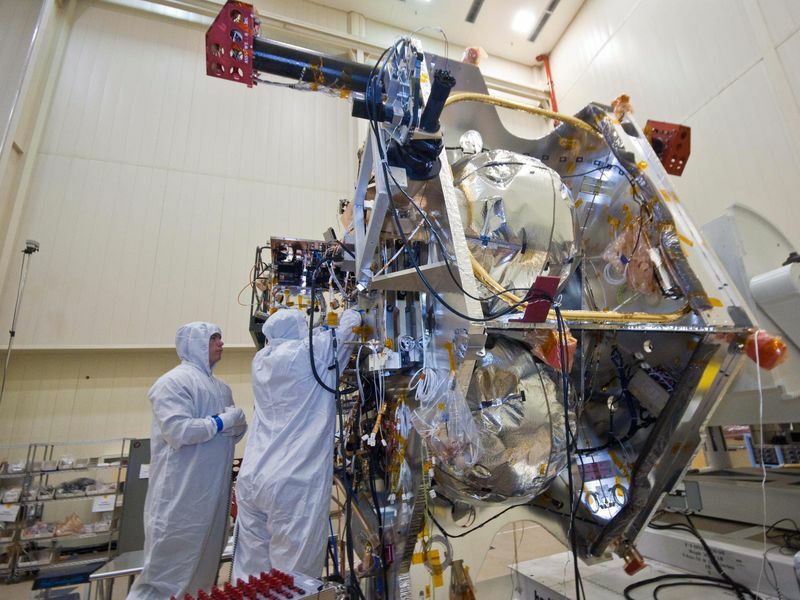 With these components in place, the spacecraft was prepared for tests intended to confirm that its software and electrical systems functioned properly as a whole. 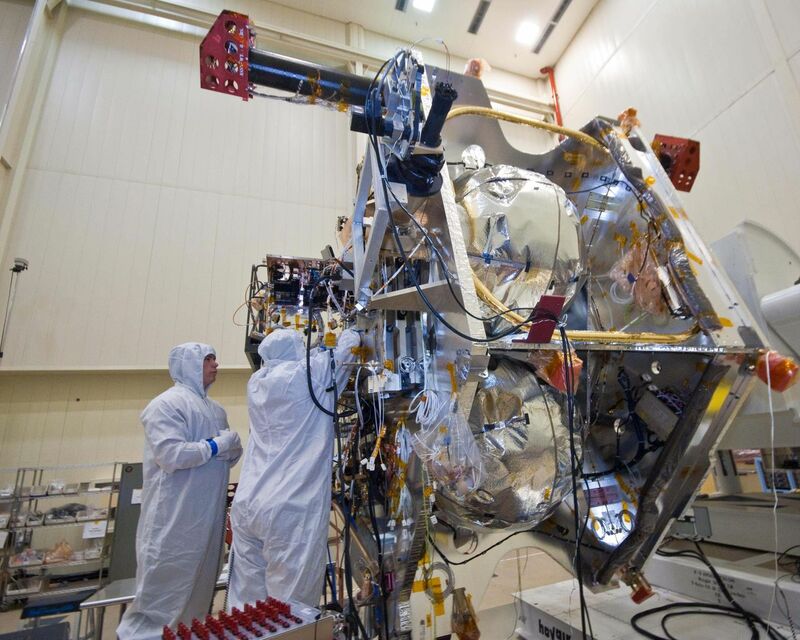 Here, the spacecraft is mounted on a large rotation fixture which allows the spacecraft to be turned for convenient access for integration and testing of various subsystems. 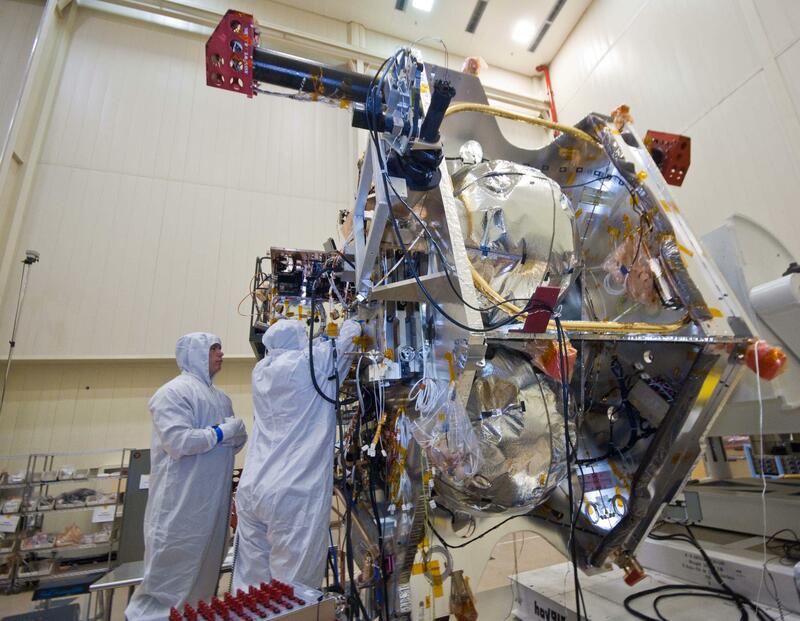 This image was taken on June 29, 2010, in the high-bay cleanroom at Lockheed Martin Space Systems in Denver, during Juno's assembly process.